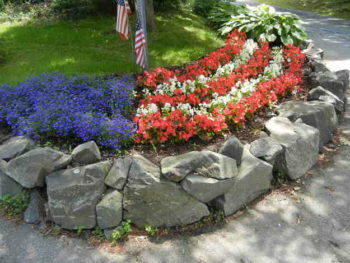 Rivas Design & LandscapingBlogGarden ReflectionJuly: Too Early, Too Late or Just Right? July is that mid-summer month that comes too late to the party to make the spring planting window, yet too early for a safe entry into fall. It is, however, the perfect time to really appreciate all your earlier labors and to re-evaluate the needs that have yet to be met. DO deadhead your perennials and annuals. Geraniums notoriously need attention as do all your spent perennials. DO cut your hydrangeas and zinnias and fill vases throughout the house with fresh flowers. July is also a great time to do a quick mid-summer spruce up to keep your property looking its best for the summer festivities! HAPPY JULY 4th and beyond!